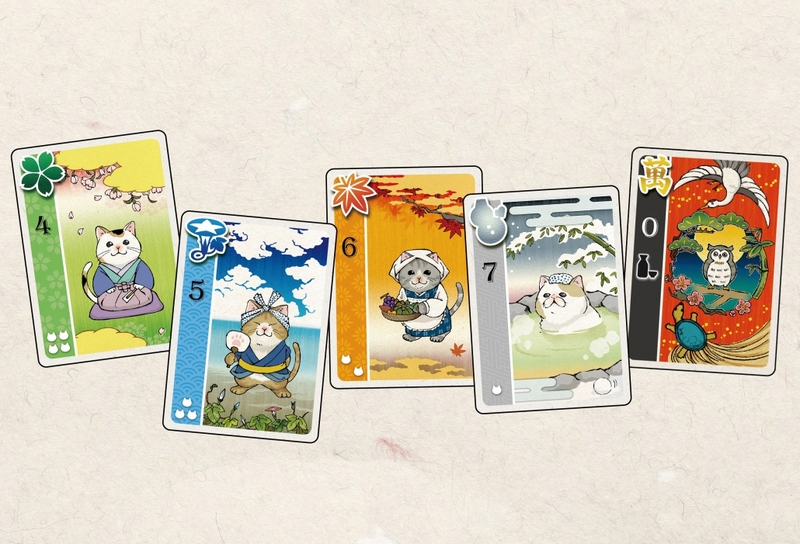 The designer of Wolf & Hound brings you Festival of Thousand Cats, a cat-themed card game about collecting as much food (fish) as you can while enjoying the taste of booze (Sake). 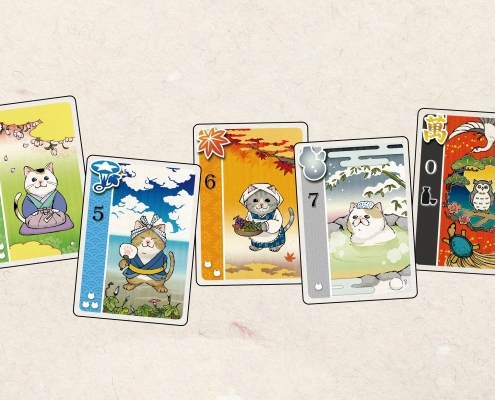 The game was originally published by Fukuroudou and was released at Tokyo Game Market 2016 Spring. 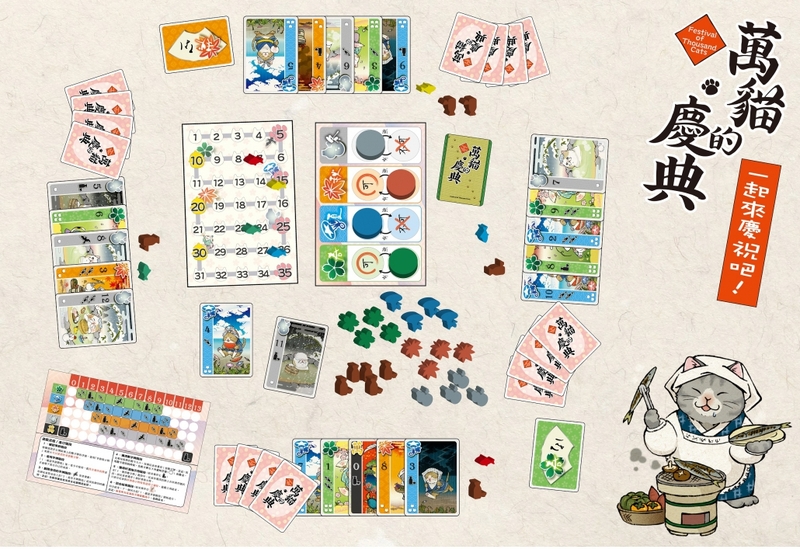 English/Taiwanese edition is published by The Wood Games and is available for purchase through Ninja Star Games. What is Festival of Thousand Cats? Enjoy the feast by collecting “Fish” and “Booze”! Be careful though! Even cats will get plastered if they drink too much! (Always drink responsibly!) 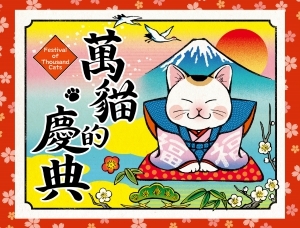 Cats all over the country are always looking for their next feast. They love “Fish” and they can’t celebrate without “Booze”. As long as they have those two, they are all happy! 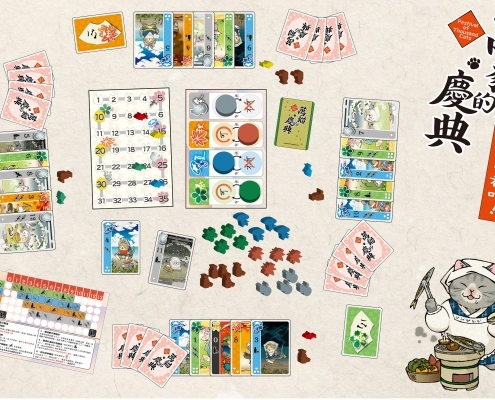 The game is published in Taiwanese/English, with English rules included in the game box. Most components are language independent.